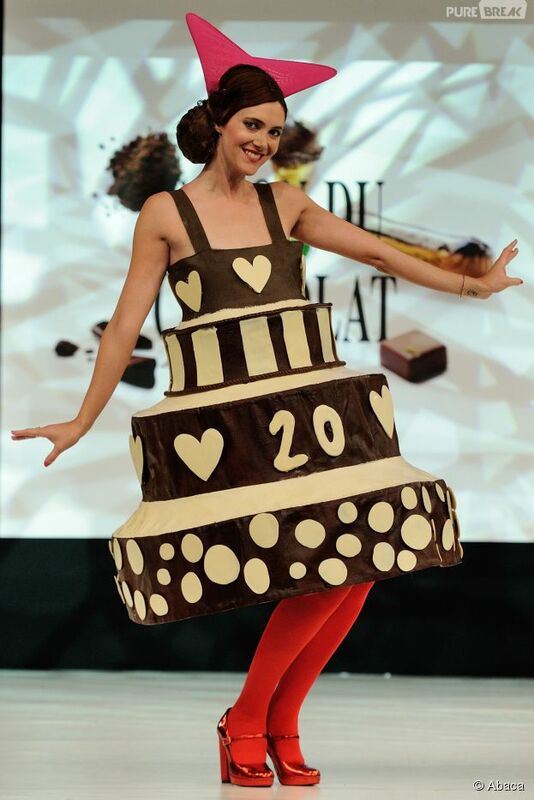 Milk chocolate frosting and tiny bits of gold were used by Melissa Torres of Cake Hero, one of the 6 cakemakers who were asked to bake a « Barbie™ Cake » which reproduces a dress by Charles James, to celebrate the « Charles James : Beyond Fashion » exhibition, at the Metropolitan Museum of Art’s Costume Institute, in New York, from May 8 until August 10, 2014. 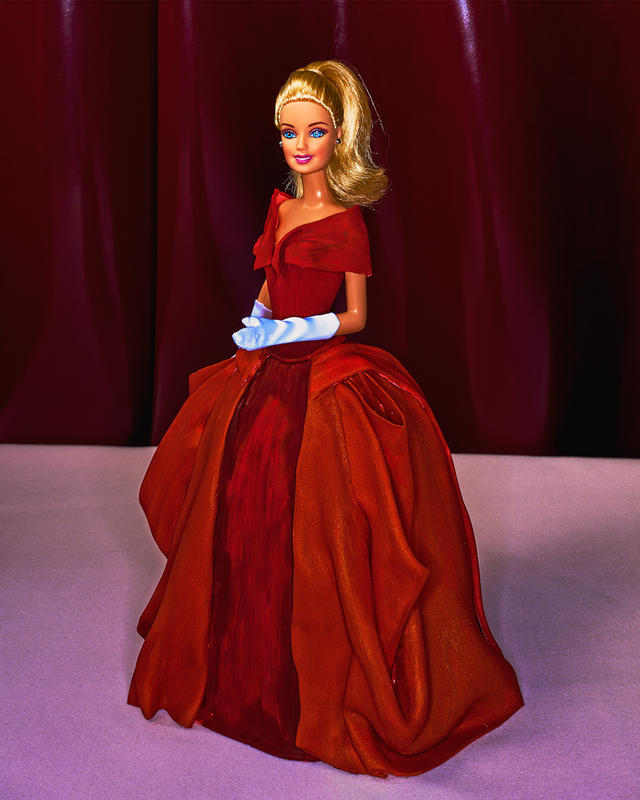 To read about Barbie™-influenced collections and items, search for the « Barbie™ » post that I have published on September 19, 2013. 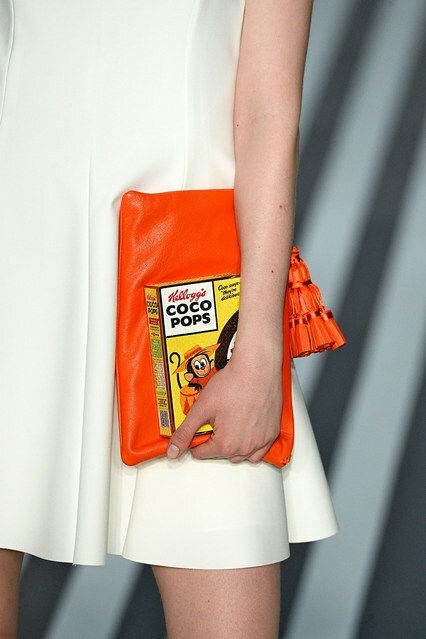 Kellogg’s® Coco Pops have influenced one bag in the Anya Hindmarch Autumn/Winter 2014-2015 Collection. 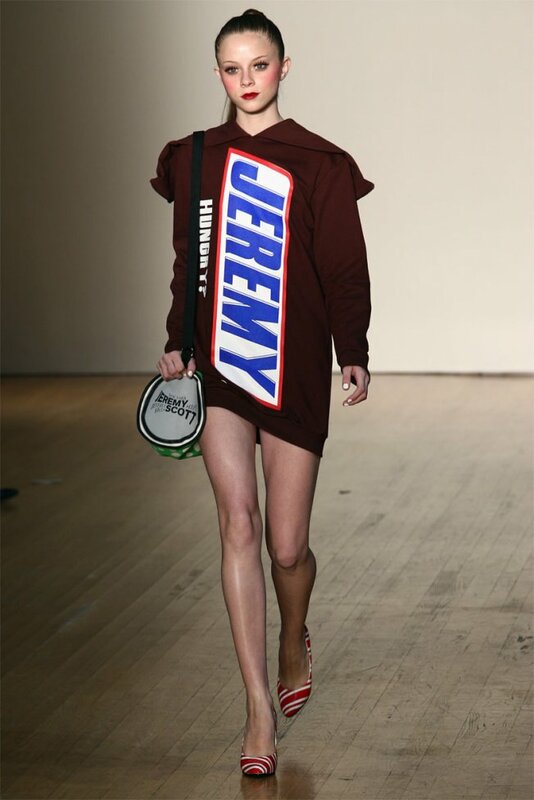 Moreover, Coco Pops were reimagined as « Coco Chanel Coco Pops » for Chanel’s supermarket-themed Autumn/Winter 2014-2015 show. 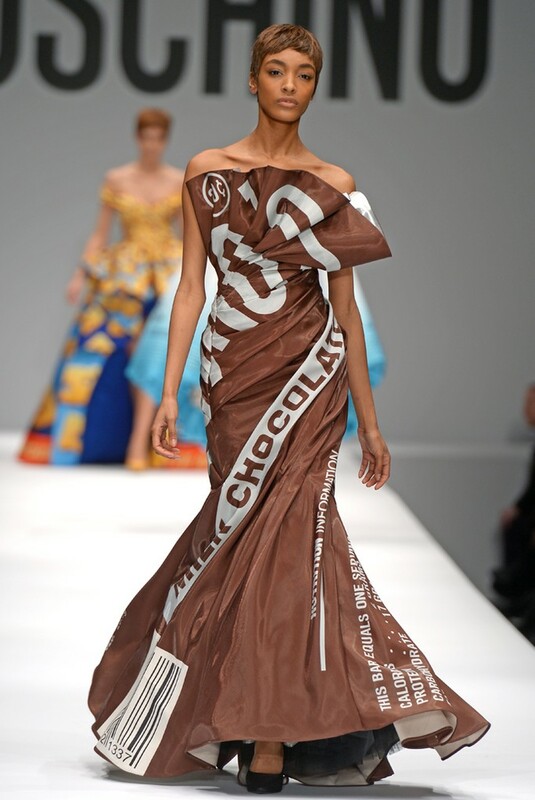 One dress in the Moschino by Jeremy Scott Autumn/Winter 2014-2015 Show was based on the packaging of Hershey’s® Milk Chocolate Bar (the invitation for this show was a Moschino milk chocolate bar, which also paid tribute to Hershey’s®).